Alexander Perez and M.A. “Mike” Morales taste and discuss Penasco Tequila Reposado. We apologize for the sound quality. We’ve fixed the issue in recording and this is one of the last reviews with poor sound quality. Follow Tequila Penasco on Facebook here. Follow Penasco on Twitter here. Welcome to the world of Tequila through the vision of Del Bravo Imports. We are committed to bringing you one of the finest distilled 100% blue agave tequilas on the market. 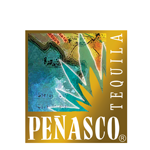 Tequila Peñasco represents quality, is named for the famed beach town located in the Mexican State of Sonora, on the sea of Cortes. Today, Tequila is one of the fastest growing liquors in the world. The direction of the growth is decidedly upscale. An entire tequila culture is being developed not just in Mexico but all over the world. Enjoyed in many countries, local pubs, neighborhood bars as well as many sophisticated restaurants around the world. There is a large market of excellent 100% blue agave tequilas available in the range of $20 to $30. A greater quality of tequilas made of 100% blue agave in the $30 to $50 dollar range. Most all tequilas priced under $20 dollars are mass produced for local markets and export and are made from a mix of agave plants.